It is my wish you will experience the joy and inner peace that comes from changing your mind about the world and awakening to Spirit! Change happens in the mind which is at cause. Hypno-psychotherapy and my form of Spiritual Counseling are effective tools bringing you back to the mind at cause (the power of choice) and out of the effect of the world, your body, and your symptoms (the ego). In the mind we can shift our thoughts or perception. This is A Course in Miracles‘ definition of a miracle. My form of Spiritual counseling helps you become the observer of your life thus empowering you to exercise your one remaining power here – the power of choice. You can choose the right-minded thought system that reflects love, shared interests, kindness and compassion instead of choosing the ego thought system which reflects fear, sin, guilt & punishment. You can withdraw your investment in the false self (the ego) in favor of waking up from the dream you thought was your life, and return home to the Oneness that is you. In this healing process you withdraw your investment in preprogrammed routines and scripts no longer serving your highest good, develop new habits of forgiveness, joy, staying present and connecting with the Holy Spirit/Jesus. Miracles are habits, according to ACIM. As a longtime student of A Course in Miracles, I integrate Spiritual counseling with the principles of psychotherapy, as taught in the Course supplement, Psychotherapy: Purpose, Process and Practice. Psychotherapy is a process that changes the view of the self. This “new” self is more loving, beneficent and peaceful. 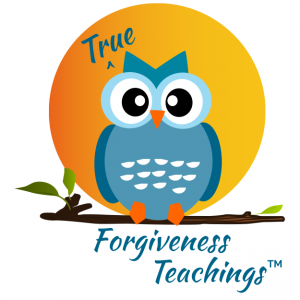 Forgiveness is the cornerstone of this process. This gentler self is still part of the illusion and still only in the mind. However, you are moving toward awakening instead of furthering illusions. This precedes awakening to Spirit. I look forward to working with you!